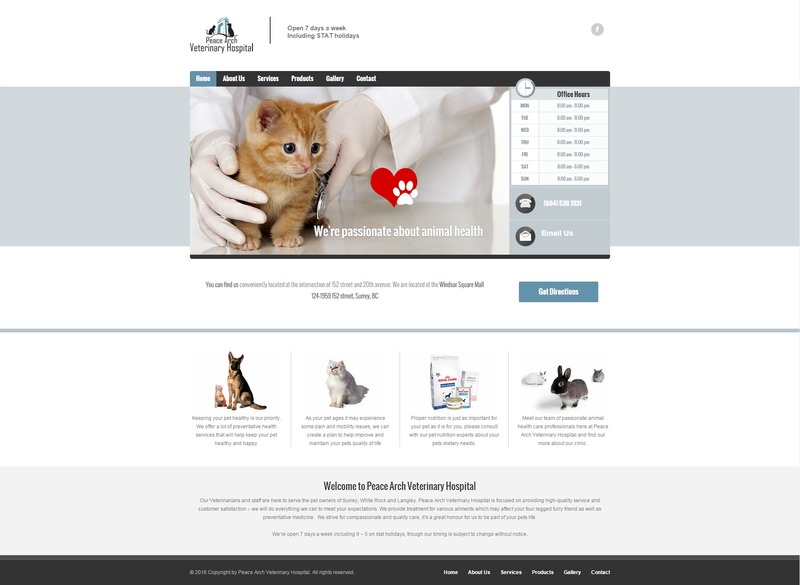 Peace Arch Vet is a veterinary hospital located in Surrey BC, they wanted to convey to the customer that they were compassionate and cost effective. The previous site’s colour scheme didn’t match their marketing goals so we helped them pick a colour and theme that gave the correct impression to the customer. 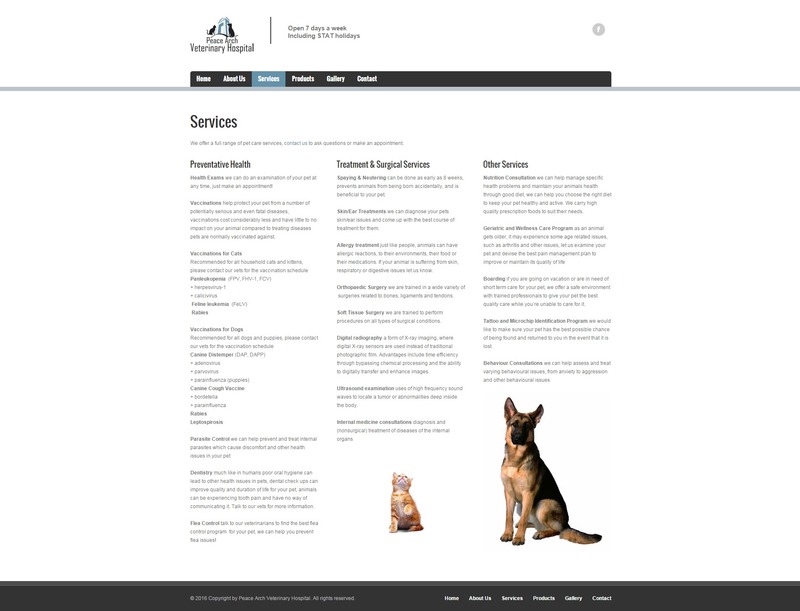 One that would make them feel like their pet would be well cared for and that the staff was both knowledgeable and compassionate giving them confidence in the hospital. 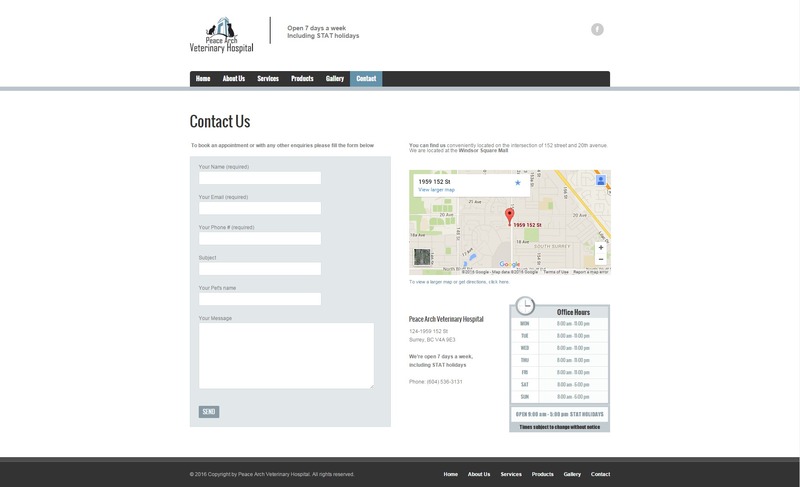 They also wanted to ensure that their hours and contact information was prominently displayed to current and potential clientele.